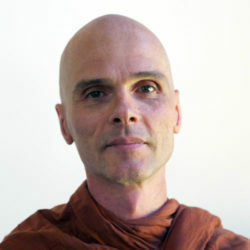 Bhikkhu Anālayo is a German scholar-monk and the author of several books on meditation, such as Satipatthāna: The Direct Path to Realization, Perspectives on Satipatthāna, and Satipatthāna Meditation: A Practice Guide. He is a Faculty Member at Barre Center for Buddhist Studies and a professor at the Numata Center for Buddhist Studies at the University of Hamburg. His main area of academic research is early Buddhism, with a special interest in the topics of meditation and women in Buddhism. At the Barre Center for Buddhist Studies he regularly teaches residential study & practice courses, participates in online programs and undertakes research into meditation-related themes. For a full list of Bhikkhu Anālayo’s publications, please click here.